On Thursday, April 23, 2015, National 4-H Council hosted our 6th Annual Legacy Awards. On this special evening we were joined by dignitaries, community leaders, philanthropists, advocates and entertainers to celebrate the 4-H mission and most importantly our youth and their impact on this world. This year’s event was emceed by Mara Schiavocampo of ABC News – read her bio. Together, we honored the accomplishments of our youth and those individuals that make it possible for millions of young people to learn important life and leadership skills through 4-H youth development programs. 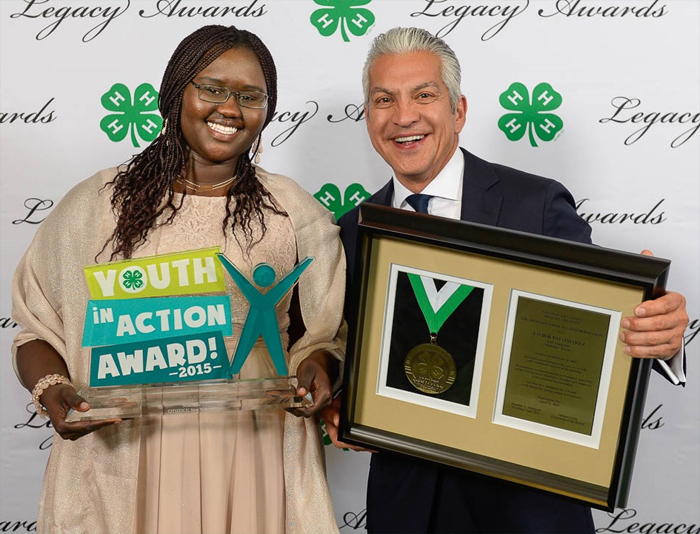 Our 2015 honorees were Nosa Akol, Youth in Action Award winner, and Javier Palomarez, Distinguished Alumni Medallion winner. Proceeds from this event enable National 4-H Council to continue its vital work on behalf of our young people everywhere. It was a night to remember. 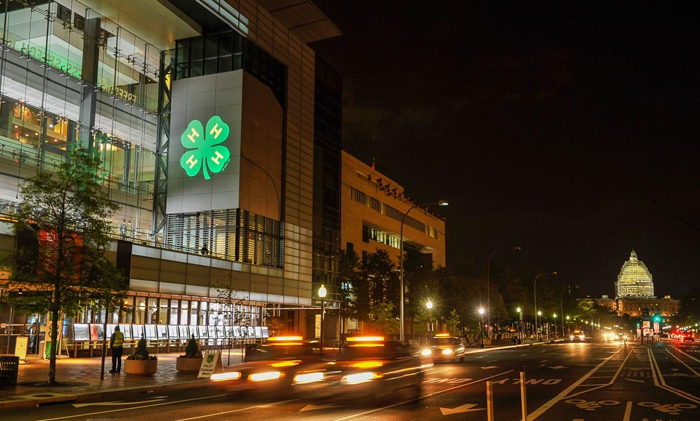 Thank you for celebrating the mission and great work of 4-H’ers across the world by supporting the 2015 Legacy Awards.